Maintain your oral health with our teeth cleaning services at Go Dental in Calgary. Regular and professional teeth cleaning by our Calgary dentists at Go Dental is important when maintaining overall oral health. Our focus is not only to ensure your dental health is well taken care of, but also to make sure your visits are as pleasant and relaxed as possible. A regular and frequent teeth cleaning regime at home is essential in maintaining proper oral and gum health. Unfortunately, regular household dental cleaning instruments may not always provide the best cleaning. For this reason, making regular teeth cleaning appointments with the dentists and hygienists at Calgary’s Go Dental allows us to go the extra mile in maintaining the health and appearance of your teeth and gums. While brushing and flossing effectively removes plaque from your teeth, these methods are ineffective in removing any tartar that may have built up over time. During a professional teeth cleaning at our Calgary dental office, your dentist will use specialized tools designed to completely remove tartar from your tooth’s surface. After tartar has been successfully scraped off, your teeth will be ready for polishing using a gritty paste that removes surface stains and smooths the tooth’s surface. Once the main cleaning process is complete, your dentist will cap off the teeth cleaning procedure with a round of comprehensive flossing to ensure the areas between your teeth are entirely cleansed and cleared of plaque or debris. In addition to providing your smile with a fresh and clean appearance, having your teeth professionally cleaned helps to prevent gingivitis, periodontal disease, and will also enable your dentist to thoroughly examine your mouth for cavities or any signs of oral cancer. 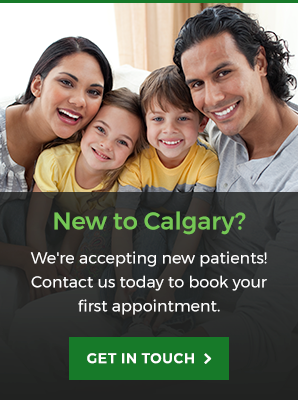 Contact Go Dental to learn more about our professional teeth cleaning services in Calgary!